Use of Clickers in classroom teaching and learning has become growingly popular in USA. 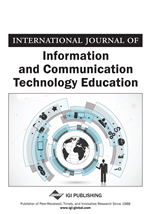 This study aims to identify whether use of Clickers in college English class can improve learners' English proficiency and enhance students' awareness of metacognition compared with traditional multimedia aided pedagogy in Malaysian contexts. By comparing the data obtained from three questionnaires and an IELTS test instructed via Clickers and traditional multimedia at the end of corresponding semesters, it is found that Clickers pedagogy can give rise to better learning outcomes and higher metacognitive levels than traditional multimedia. Limitations of this study are also discussed, coupled with recommendations for future research. Metacognition is referred to as “the ability to reflect upon, understand, and control one's learning” (Schraw & Dennison, 1994, p. 460) or simply thinking about thinking (Flavell, 1979). Flavell (1979, 1987) argues that metacognition involves metacognitive knowledge and metacognitive experiences or regulation of cognition. Metacognition is also considered as higher rank thinking which can actively control over the cognitive processes engaged in learning. Activities such as planning how to approach a given learning task, monitoring comprehension, and evaluating progress toward the completion of a task are metacognitive in nature (Livingstone, 1997). Learners with higher levels of metacognition tend to apply more cognitive strategies, so they may achieve more favorable learning outcomes. It is important to cultivate students’ metacognitive level in order to improve students’ learning outcomes. Higher achievements are often achieved by those with more metacognitive awareness (Mayer, 2008). Metacognitively imbedded students tend to possess the ability to self monitor and self regulate the learning process and to use cognitive learning strategies (Wolters, 2010) in order to set up learning goals which lead to desired learning outcomes (Zimmerman, 2000). Studies have indicated that metacognition is one of the strongest predictors of learning in general (Flavell, 1976, 1979; Veenman & Elshout, 1995). In case Clickers can be evidenced by strong facilitation of metacognition, then it is most likely that Clickers will lead to more positive learning achievements than otherwise.